Business success is about maximizing revenue and minimizing expenses. As a business owner, this means generating enough revenue to continue investing in the growth of your company. As a marketing professional, this done by identifying enough revenue generating leads to validate and justify continuing your marketing programs. Unfortunately, due to the lack of a clear strategy and defined marketing processes, connecting the dots between investing in marketing and generating revenue isn’t always clear. As a result business leaders often favor investing in sales people rather than marketing programs, because they can easily understand the link between more headcount and the new revenue they create. The key to changing this behavior and validating marketing’s value to the organization is centered on four basic principles. 1) Providing a clear link between the marketing investment and the revenue it generates. 2) Weighing the value of that investment against the possible alternatives. 3) Minimizing risk and uncertainty in both your plan and the outcomes. 4) Clearly defining the process for how revenue will be created. Each of these principles is interrelated and predicated on your ability to measure marketing performance in quantifiable terms that can withstand the scrutiny of even the most skeptical business leader. This is expressed in terms that have meaning far beyond a simple Return-on-Investment (ROI). They need to include key variables such as Cost-Per-Lead, Conversion Rates, Close Rates, Customer Value, and Funnel Health. Each of these can then be utilized to not only defend marketing performance, but predict its future ability to generate revenue. Digging deeper into this concept, consider the variable of Funnel Health. On the surface, this is an abstract picture of your sales pipeline from initial prospect identification through the win or loss of a sale. In many organizations, this pipeline is entirely controlled by the sales team with the only influence from marketing being new prospects entered at the top. 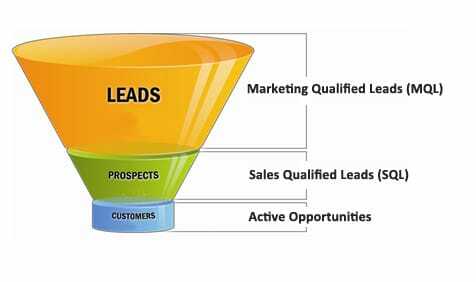 With a well-defined marketing strategy and clear processes for managing leads, this pipeline report can be extended to measure the number of new leads created by programs each month and the steps necessary to move new prospect, or Marketing Qualified Leads (MQL) through different stages of your funnel until they are Sales Qualified Lead (SQL). This allows marketing to clearly quantify the value of their activity as it relates to current and future sales activities. Ultimately, demonstrating marketing’s value to the organization becomes a tangible formula that produces a more productive and profitable sales stream. This is a partnership that starts with a mutual understanding of what constitutes a viable sales opportunity; and works because marketing can apply economies of scale to the early stages of lead development that sales cannot. This then requires fewer sales people, keeps them more actively engaged on viable business opportunities, and improves both your market coverage as well as close rates. And that’s a win-win for marketing and sales.